The empowerment of women in business is a passion that Brenda Erickson has carried throughout a career that has spanned more than three decades. That passion recently earned her recognition as one of the Top 30 Influential Women in Houston. After graduating from the University of Iowa, Brenda started out as a teacher before transitioning to the energy industry. She joined ConocoPhillips in 1988 and worked in various sales, marketing, pricing, and contract management roles. She advanced to the company’s supply chain organization and led teams in talent management and procurement. 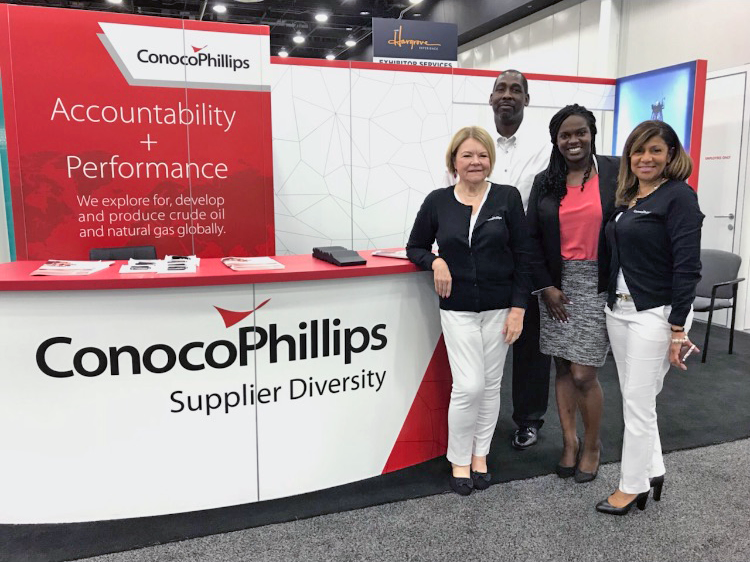 In her current role as corporate supply chain director at ConocoPhillips, Brenda is responsible for sourcing and administering millions of dollars in contracts for various business groups within the company, including information technology, human resources, real estate and facility services, aviation, Polar Tankers, travel, GGRE (geology, geophysics and reservoir engineering), finance, commercial and communications. Brenda also serves on the board of Waterway Wealth Management and volunteers her time to support the United Way, Junior Achievement, her church in Houston and her family church in her hometown of Moline, Illinois. She travels back to Moline and other locations throughout the U.S. whenever possible to spend quality time with her parents, siblings, and especially her four outstanding nieces and three exceptional nephews. Of course, Brenda’s quality time with each of those youngsters includes mentoring to help them become accomplished adults.